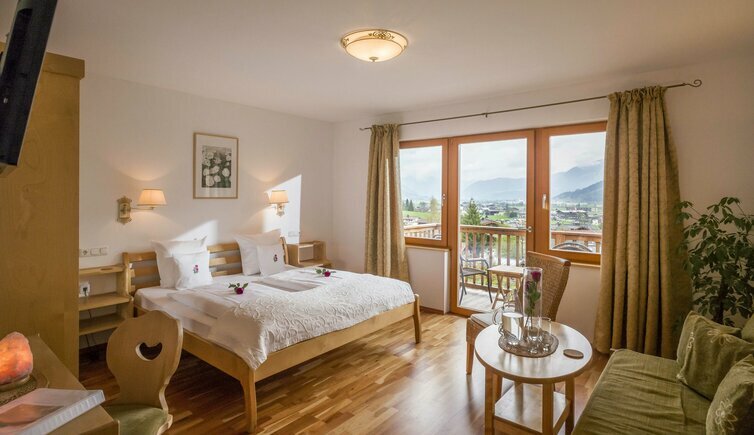 Set amidst a 5,000 m² garden in Oberndorf, Gartenhotel Rosenhof offers panoramic views of the Kitzbühel Alps. It features a heated outdoor pool, which can be used during summer, a sauna, and an infrared cabin. A daily breakfast buffet is served, and a coffee and tea bar can be used free of charge. The Rosenhof’s garden features barbecue facilities and a sunbathing lawn with deck chairs. Every afternoon free coffee and tea bar with "sweet"
inclusive buffet breakfast, welcome drink and "Rosenhof-Package"
inclusive: welcome drink, final cleaning and "Rosenhof-Package"
suitable for wheelchair users (wide doors/groundfloor, lift access/accessable, shower and toilet). 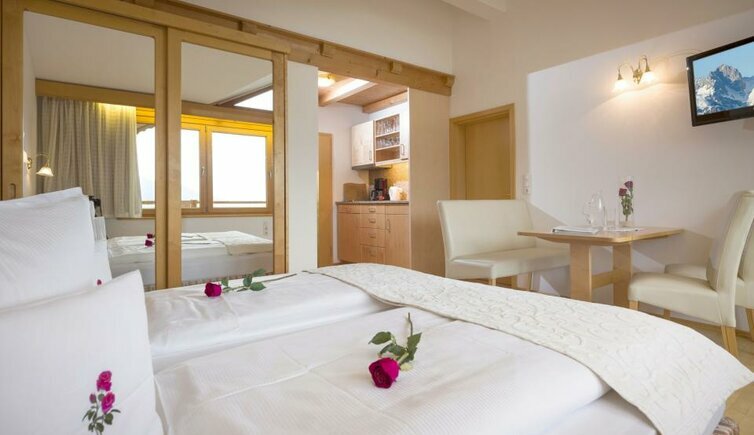 Prices are inclusive of Rosenhof Package! Children up to 5th birthday are free. Excellent wellness hotel. Good for sightseeing. Great pool. Kreuzgasse 20 - 23 - A - 6372 Oberndorf in Tirol 687 m a.s.l. Feel the wonderful mountain air of the Kitzbühel Alps. These offer numerous wonderful hiking trails for every taste. Enjoy the fantastic panorama of the surrounding mountains. 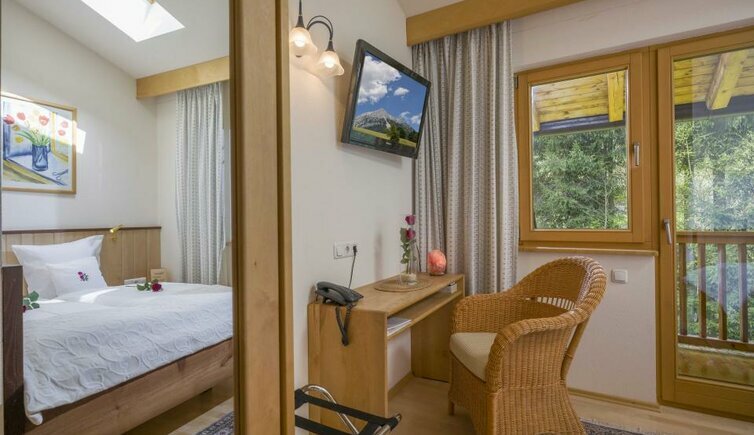 Enjoy wonderful days in the heart of the Kitzbuehel Alps - an experience for young and old! up to minus 20% discount for all rooms, apartments and chalets !